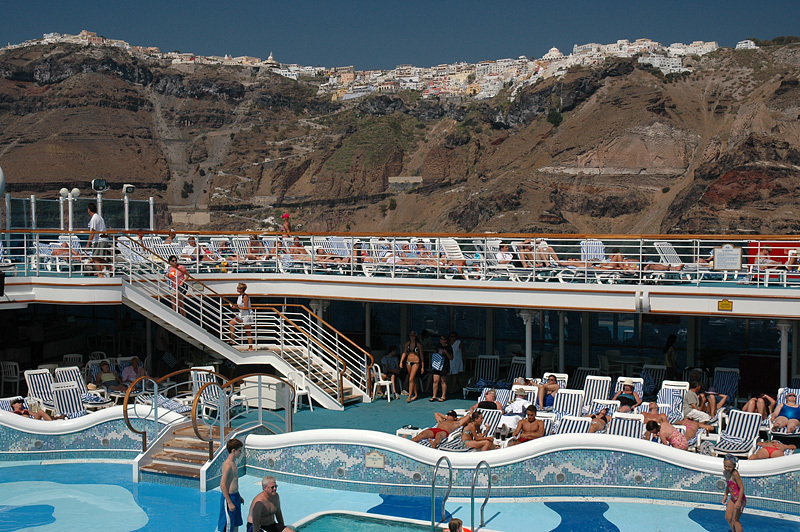 Also known as Thira, Santorini was the site of a huge volcanic eruption around 1500 BC. Some say this destroyed the Minoan civilization. Today, only the rim of the caldera remains above sea level, surrounding a large bay. Photos are taken in the town of Oia, except where noted. Back on the ship with Fira in the background.